Merry Christmas Green Large Christmas Flag - 5' x 3'. Merry Christmas Red Large Christmas Flag - 5' x 3'. Merry Christmas Santa Face Large Christmas Flag - 5' x 3'. Merry Christmas Tree Large Christmas Flag - 5' x 3'. 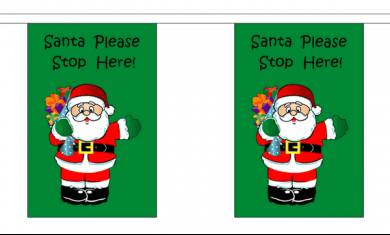 Santa Please Stop Here Large Christmas Flag - 5' x 3'. Santa Welcome Large Christmas Flag - 5' x 3'. Santa's Face Large Christmas Flag - 5' x 3'. Seasons Greetings Large Christmas Flag - 5' x 3'.